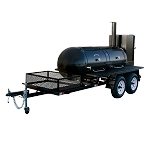 This Meadow Creek TS120P smoker uses the same indirect flow as their other smokers. 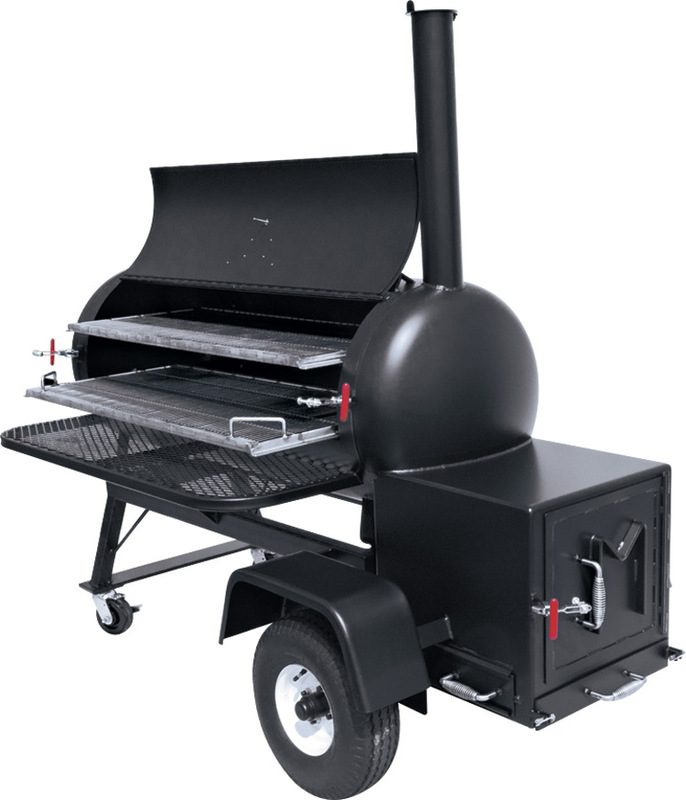 The body is constructed from 13 gauge welded steel that is coated with a heat resistant matte black paint. 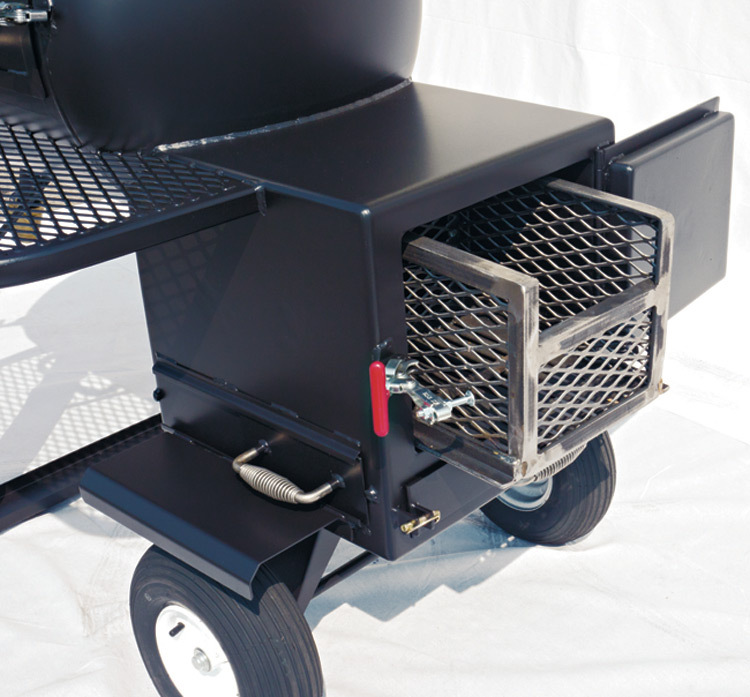 The two over sized casters and large primary tires make moving this unit simple. 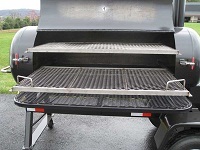 It's 20" x 41.5" top grate and 22" x 41.75" lower grate provide 1,743 square inches of smoking space. 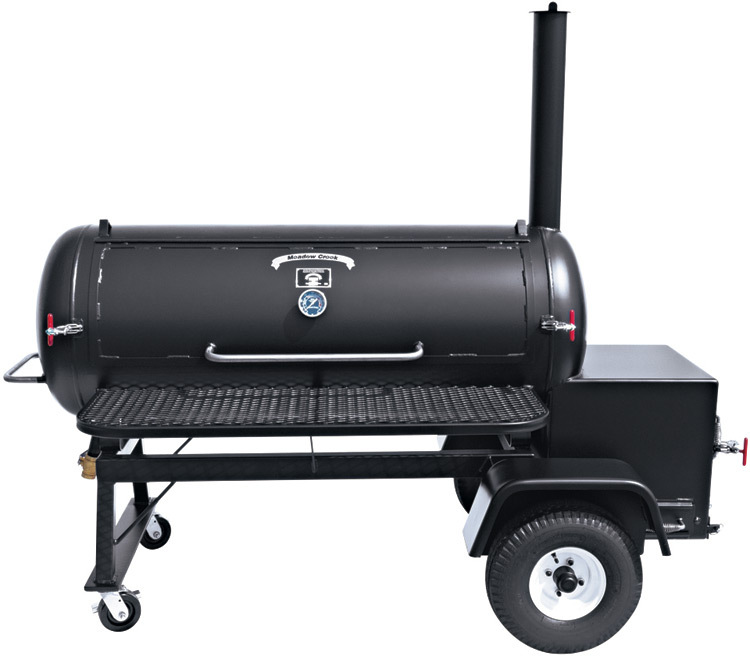 Meadow Creek smokers utilize the path of least resistance by employing the curved design of the tank end to provide a smooth, consistent draft and heat source. 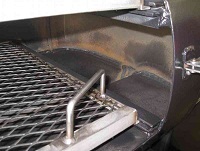 Indirect heat from slowly burning wood or charcoal travels under the sealed drip pan. Smoke circulates around the meat for slow, even cooking. 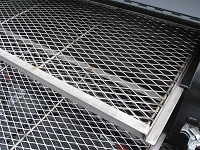 Stainless steel slide out grates for easy access. 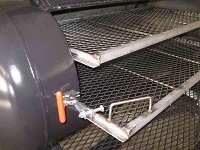 Heavy duty grease trough spigot.